Strategy Designer™ is a teamwork-based planning tool aimed at aiding professionals such as CEOs, Marketing Managers and Directors of Finance in preparing their Strategic or Annual Business Plan document. Learning about iPlanner.NET Strategy Designer? "A useful Cloud based collaboration tool." The ability to collaborate on an exhaustive document with multiple users is especially useful in a larger corporate environment. When many people try to work collaboratively on single or multiple documents that might make up a business plan, different versions typically float back and forth via email, dropbox, or on multiple corporate servers. Having a single Cloud based service provide access to a shared document like this makes things much simpler. Many times users find themselves working in an offline environment, whether they’re traveling on a bus or train or airplane, they can effectively be cut off digitally. Also in those environments, where’s it’s growing increasingly likely to have some form of mobile connectivity available, having a consistent internet connection with basic bandwidth can be difficult. This application requires a constant internet connection, and an offline mode is unavailable. Having that functionality would be beneficial. Try it with multiple users that are not in the same office. Have people try it from home or while working with a remote office location. That way you can see how useful this could be. Collaborative document management can be a challenge for any organization. While Microsoft Office has a document tracking function, it’s often insufficient when working with a multitude of users. Dropbox also makes it easier in some respects, but the case of multiple users ending up with multiple documents remains. Also not all of the features that this product offers are available via Dropbox. By combining Office’s extended functionality with Dropbox style sharing , this has the potential to be the best of both worlds. "A Good Business Planner Guide"
I find this convenient to draw my plans for my clients in no time as I know what I need from them to complete their business plans. Being an interactive tool, it allows participants to quickly update their information and also check information of other functionaries in the organization. That way transparency is assured among the participants and communication is faster and better. Since all formats (Word/XL/PDF) are accepted sharing of data becomes simple with texting and uploading features. Requires online connectivity to work on the template. Basic knowledge of English is essential. Small businesses may find it a luxury. I prepare business plans for various clients in various industries. This helps me to gather information faster and finish my work sooner making my clients happy. Client is also happy since nothing is left out in the planning process. "Awesome Product! Great Customer Service and Support"
A great package to define your strategy and convert them into actions. A very simple to use yet robust planning software. Supports multicurrency and is very useful for financial planning especially for startups and small businesses. You can upload their own Excel sheets that will be converted to online worksheets as well as expressed in the final plan document. Limited customization and flexibility, Needs to be online to function. Strongly recommended for planning people and decision makers. A must have for every business organization. Financial Planning, Template driven modules, Research Projects planning and implementation, Analyze data for informed decision making. * We monitor all Strategy Designer reviews to prevent fraudulent reviews and keep review quality high. We do not post reviews by company employees or direct competitors. Validated reviews require the user to submit a screenshot of the product containing their user ID, in order to verify a user is an actual user of the product. Hi there! 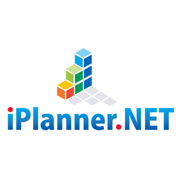 Are you looking to implement a solution like iPlanner.NET Strategy Designer?